An injury to an arm or hand seem commonplace. 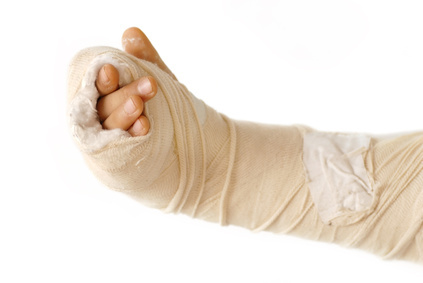 Hunting accidents, car crashes, slip and falls are a few examples of how arms and hands can become injured. Without question, the loss of the use of a hand or in arm may serve as the basis for a disability award. But what makes a person disabled? The loss of the use of the arm? The pain caused by the injury to the arm? Or is the fact that no employer would hire a person who has no real use of an arm? Joe was able to prove that he was incapable of performing his past relevant work as a truck driver. He also proved through a vocational psychologist that he was basically unemployable because he only had the function of one arm. However, there was another vocational expert who testified at the hearing and identified several specific jobs that Joe could perform with the use of only one arm. The expert said that the claimant could work as a clerk for a self-service station, self-parking lot, or drug store, or as an unarmed guard or doorkeeper. The ALJ decided that the proper framework within which to decide Joe’s case was not whether Joe was “employable” but rather considering Joe’s residual functional capacity and his age, education and past work experience, Joe can perform any other jobs that exist in significant numbers in the national economy. The point here is that there is a difference between “employability” and the ability to do work. The Social Security Disability program focuses on the ability to do work and not whether someone is employable. Social Security Ruling 87-11c adopted this concept.